Tom Findlay is the new Interim Director of the Facilities Department. 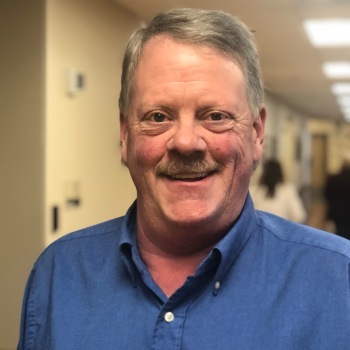 Tom has worked at CMC for many years as Lead Engineer, and is extremely knowledgeable of CMC, overall hospital plant operations, environment of care requirements, etc. Tom can be contacted via email, or by calling extension 4140. Pat Crisp, Administrative Assistant, can be contacted in the Facilities Office at extension 4137. Please help us welcome and support Tom in his new role.